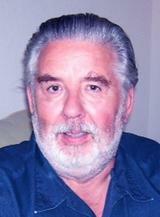 NEW SMYRNA BEACH, Fla. — Donald W. Patnode, 73, died peacefully on his birthday, Oct. 11, 2013. Don was born at home in Keeseville, N.Y. to his predeceased parents Cedric and Dorothy Patnode. Don was married to and survived by his beloved wife of 50 years, Janet Barbara (Fillmore). He is also survived by his two daughters, Kimberly Eaton and husband Robert of Cape Coral, Fla. and Jennifer Pelkey and husband Keith of Jacksonville, Fla. The pride of his life was his four grandchildren, Jordyn Pelkey, Karley Rose Pelkey, Jared Pelkey, and Andrew Eaton. Don is also survived by his older brother, Edward Patnode and his wife Linda of Crestwood, Ky; younger sister Norma (Susie) Snow and her husband Keith of Peru, N.Y.; younger brother Wayne Patnode of Millis, Mass. ; and youngest brother Kevin Patnode and his wife Deborah of Morrisonville, N.Y. Although Don was unable to travel recently to visit his siblings, he enjoyed many long distance phone calls with them over recent years. It was often the highlight of his day. Don graduated from high school in 1959 and then entered the military. Don served in the U.S. Marine Corps for four years as an airplane machinist and served his country with pride. Upon returning home, Don married his sweetheart Janet in Norwood, Mass. Don and Janet would have celebrated their 50th anniversary on Oct. 12, 2013. Don worked as a machinist at Georgia-Pacific and retired from there after working 23 years. Don and his wife lived in Keeseville, N.Y. until he retired and they moved to New Smyrna Beach, Fla. Don enjoyed his retirement years building model airplanes and wonderful afternoons in the pool. Don will be cremated and a memorial service to celebrate his life will be held in November. Don was a devout believer and is now in the arms of Jesus. Don will always be remembered as a loving husband, father, grandfather, and brother. He will be greatly missed by his loving family. My heartfelt condolences go to Don’t family. I had no idea that Don had passed away until today when I was searching History of Keeseville on the Internet and found this article.. I last saw him a few years ago when he was in Keeseville and he stopped to visit. Don was a great guy. We were in High School together and graduated together.We went in the Marine Corps together after graduating from High School in 1959. After boot camp we didn’t see much of each other as we went on our separate ordered tours of duty. I will miss seeing him again. May God bless.